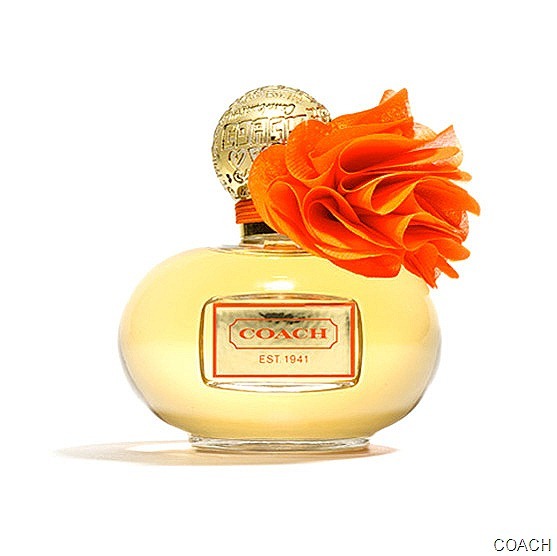 COACH is bidding summer goodbye and autumn hello with a new limited-edition fragrance – Poppy Blossom – the third in its Poppy Collection. Getting right down to it, I’ll tell you that it’s a seriously fruity floral fragrance with a big dollop of jam. When you first spray it on, you’re met with a walloping burst of sweetness. If you like that, then you’ll love Poppy Blossom. For me, it’s a tad too jammy, but it does settle down after sitting on your skin for a while, and ends up as a soft, feminine scent. Still a little too sweet and girlie for me, but I usually find myself more comfortable at the opposite end of the scent spectrum. You might be happier in a field of flowers and fruit. Poppy Blossom offers up top notes that include lychee and strawberry along with freesia and mandarin. You’ll definitely notice these at first sniff. Then you’ll be handed a fat bouquet with the middle notes: petaly muguet (think Lily of the Valley), rose centifolia, tuberose, jasmine sambac and gardenia. And, finally, at dry down, you’re treated to a hint of praline, vanilla, blonde woods and a bit of musk. The perfume comes in a pretty round glass bottle with an intrusive fabric flower attached to the neck. Poppy Blossom EDP is available in three sizes and sells for $45 – $85. Check it out at Sephora and Ulta.